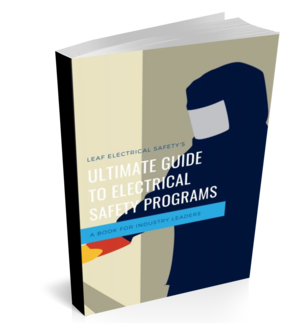 With the focus on electrical safety steadily increasing over the last number of years, one might assume that construction workers were on par with the rest of industry with regards to training and awareness of electrical hazards. While some companies certainly are, others still lag behind and it shows in the numbers. Of all the construction fatalities in 2015, electrocution ranks #3, something that you might find unbelievable but it's true. In this article, we will take a look at some of the ways construction workers and construction electricians are exposed to electrical hazards and what should be done to avoid injury. It's only 120 volts... right? In my opinion, this idea that it's only 120 volts is the reason for so many fatalities (about 350 between 1992 and 2002). Electrical wiring, extension cords, plug-in tools, and temporary lighting circuits make up about 60% of all the fatalities from electrocution in the construction industry and most of these are operating at 120 volts. Now a quick lesson in ohm's law and why 120 volts is dangerous. First of all, it's the current that kills, not the voltage and surprisingly it only takes 0.05 amps passing through your heart for the heart to go into fibrillation (which then can cause a heart attack). To calculate the current flowing through your body (if you were to come in contact with a live 120-volt conductor) you simply take the number of volts and divide by the resistance of your body. The trick is to determine the resistance of your body. The NIOSH states "Under dry conditions, the resistance offered by the human body may be as high as 100,000 Ohms. Wet or broken skin may drop the body's resistance to 1,000 Ohms," adding that "high-voltage electrical energy quickly breaks down human skin, reducing the human body's resistance to 500 Ohms." So when conditions are favorable you would only draw 0.0012 amps, but when conditions are unfavorable you could draw up to 0.12 amps which are above the 0.05 amp threshold of heart fibrillation. How can we deal with this hazard? First of all, workers need to be aware of the hazard, they need to have respect for the hazard and they need to understand just how easy it is to come in contact with 120 volts. When I was going to university I worked part-time as install and repair technician for a telecommunications company. One of my co-workers told me the story of a fatality that happened within the group a few years before I started with the company. After drilling a hole in the exterior wall for a new service entrance into a home (using a cord-and-plug drill attached to an extension cord) the worker unplugged the drill and started to roll the extension cord up between the inside of his thumb and the bottom of his elbow (the cord was still plugged into the socket). Prior to using the extension cord, the worker had not noticed that the insulation had been damaged and bare copper conductors were exposed. Eventually, the worker wound the exposed part of the cord around the inside of his arm which created a path between his arm and ground for the current to flow and unfortunately the worker was killed. 120-volt extension cord.. standing on someone's front lawn... it's just that easy. In recent years the recommended use of ground fault circuit interrupters (GFCI) has been steadily growing to the point now that the major advisors in electrical safety say to use them every time you are using a cord-and-plug tool while doing construction or maintenance work. GFCI are designed to protect people. They trip the circuit at such a low threshold of current that you would probably not even notice you received a shock, let alone have your heart go into fibrillation. Using GFCI (whether they are permanently installed or a temporary "whip" style) is by far the greatest way to protect from shock hazard on a construction site and should be available to anyone using cord-and-plug tools or extension cords. Electrocutions are still happening today on construction sites all over the world. While they are not all at 120 volts and because of interaction with cord-and-plug tools a high percentage of them are. Ensuring that construction workers are properly informed of the hazard and familiar with available mitigation techniques (such as GFCI) is vital to keeping workers safe.